Is your institution working with Geospatial resources? Do you face technical challenges in establishing a Geospatial laboratory? Are you interested in having your institution teaching GIS courses? If your response is YES to any of these questions, then the ICA-OSGeo Labs initiative is happy to chat with you as they are interested in establishing Open Source Geo Labs especially in African Universities. 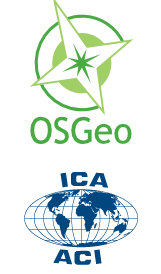 Both parties should work for the vision of the ICA-OSGeo MoU to develop collaboration opportunities for academia, industry and government organizations in open source GIS software and data in the future. Someone at your institution or organization should have a strong Geospatial knowledge and vision to lead this activity and build a team of people, locally. There should be a website established for your Open Source Geospatial Laboratory listing current research, people, and training information. This web presence will allow the other nodes in the network and others to understand and promote your local efforts around research and teaching of open source geospatial technologies and approaches. OSGeo and ICA welcomes applications from universities, educational institutes, government organisations in developing countries to help develop capacity building in geospatial education by establishing Open Source Geo Labs.